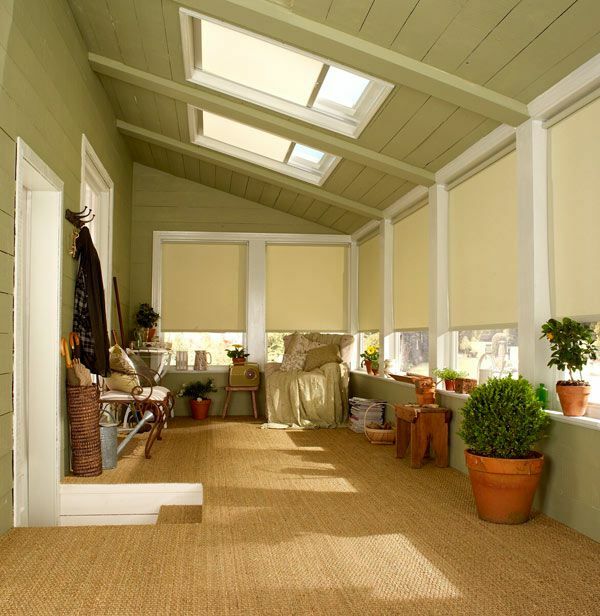 If you have a skylight window in your home, then the SC Blinds Easi-Stop roller blind range is the perfect blind for you, and not only do they come in the look and feel that you want, but they offer an amazing fit to make sure that you have an easy to use blind for your skylight windows throughout your property. And when we say you can choose the perfect look and feel, we mean it, as the Easi-Stop roller blind range comes in over 200 fabrics for you to choose from, and this also includes blackout blinds as well, from the leading manufactures like Velux®, you can have a blind that looks great, fits perfectly, is hard wearing and durable and is really simple to use. The blinds really are a simple and ideal solution for fitting to roof windows or skylights, as they are effectively a tension based roller system specifically designed to fit into the recess of these types of windows. 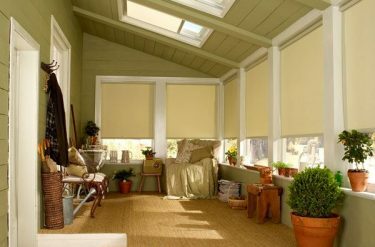 The blind simply locks into place and will move with the window, which allows you to open and close your skylights and roof windows as much as you want. With over 200 fabrics and colours to choose from and all our Easi-Stop roller blind are made to measure your window, you will not believe our low prices, so give us a call today to arrange a free appointment. Spring tensioned system, designed to fit into slanted or skylight roof windows as well as small to medium sized standard windows. 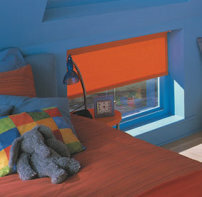 What windows can an Easi-Stop blind be fitted to? Our Easi-Stop blinds are rollers held in side channels and designed to fit into slanted or skylight roof windows, as well as small to medium sized standard windows. 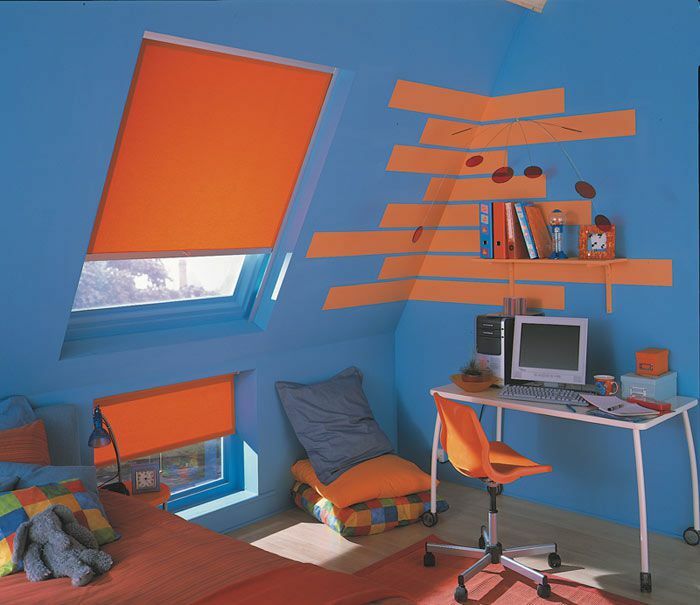 Can you find co-ordinating blinds for this range? The Easi-Stop blind can be made using any one of over 200 fabrics from the Aquarius roller fabric collection, which will make finding a co-ordinating roller blind for any other window, a piece of cake! Contained within side channels, they are great solution for slanted windows. 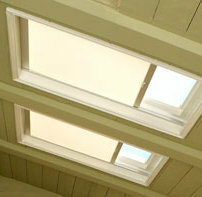 Easy to fit Easi-Stop blinds are perfect for Velux­® or non Velux® skylight windows. Unobtrusive in small to medium sized windows too!